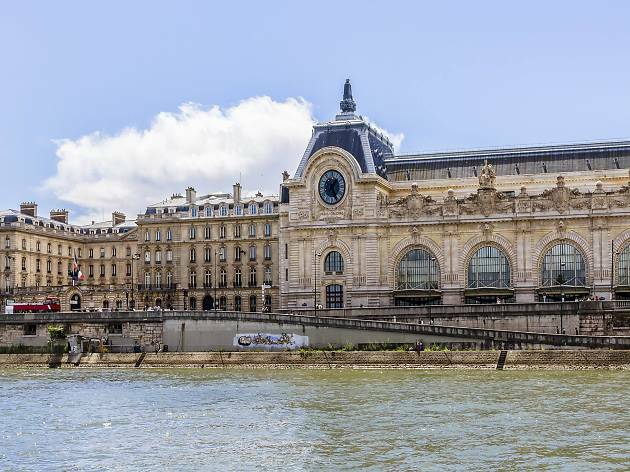 In 1973, the Musée d’Orsay’s days were numbered; they were planning to demolish Victor Laloux’s 1900 former train station and its giant clocks to erect an ultra modern luxury hotel on the banks of the Seine. 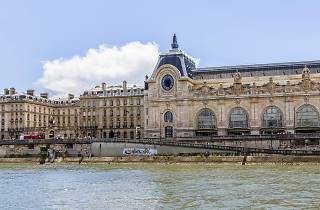 Fortunately, its history and importance prevailed and the newly redesigned Musée d'Orsay was unveiled on December 1, 1986. Then in October 2011, the museum reopened its two most important rooms after years of building works. There are rooms dedicated specifically to Courbet and Van Gogh, as does art nouveau, a first for the museum. Even the superb coffee shop/café tucked behind the clock (designed by the Campana brothers) is submarine themed, in homage to Jules Verne's Nautilus, and has recently been treated to an invigorating lick of paint. A little reminder of these gargantuan updated collections: they begin where the Louvre’s finish off (around 1848) and continue where the Centre Pompidou’s begins (around 1914). In other words, sixty years of art history - from realism to the Pont-Aven school, from Impressionism to pointillism, which attracts more than 3 million visitors a year and occupies nearly 35,000 m2. The highlights in this glass and metal monster gem include: Courbet’s 'L’Origine du monde' and 'Un enterrement à Ornans,' as well as Millet’s 'Glaneuses' and Corot’s landscapes. See Manet’s bridge between realism and impressionism with 'Le Déjeuner sur l’herbe' and 'Olympia'. Then inhale the fumes of Monet's 'La Gare Saint-Lazare', considered the first Impressionist painting, followed by the mists in 'Londres, le Parlement'. After 'L’Absinthe' by Degas, Renoir’s 'Bal du moulin de la Galette', Caillebotte's 'Raboteurs de parquet', come the flat colours and diverse perspectives of Cézanne, Van Gogh and Gauguin. Wonder at pointillism by Georges Seurat, the first taste of the twentieth century with Matisse’s fauvist paintings and the bewitching naiveté of 'La Charmeuse de serpents' by Douanier Rousseau. Come with stamina and leave inspired. I agree with Brian. They wouldn't let me eat my baguette sandwich in front of an awesome impressionist painting and they don't allow you to touch the paintings. So disappointed. A must avoid. Simply time-wasting. I have no clue what's with Brian and Chris. Impressionists! Indeed! The Nabis have always been downstairs. Basic collection on the fifth floor AND adjacent to the light lunch place. It is a FABULOUS place. NOt to be missed! What a disappointment! We visited the Musee today and discovered that it has recently rearranged it's biggest drawcard, the Impressionists. Most are on the 5th floor, but Van Gogh has been mixed in with Gauguin and moved to the second floor, along with a few other odd paintings. The space is too small to allow a good view of the paintings if even a little crowded (ie Friday afternoon?). The walls are dark grey and there is only downwards yellow lighting to illuminate. The collection is still the best, but the arrangement and display are appalling. If you go, and agree, please complain so they do something.